Joseph Cavarretta has been a member of the APEX coaching staff and sport science team since 2016. 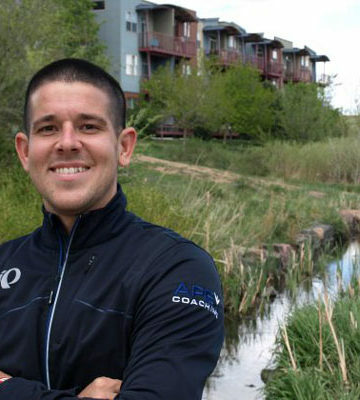 He has coached runners of all levels since 2012 and helped numerous athletes achieve personal success. Joseph performs exercise testing at the APEX coaching hub, movement and injury screening, stride analysis, and coaches several runners ranging from beginner to elite in distances from 5k to 100mile ultramarathons. Joseph regularly competes in trail and mountain-running events from 10k to 50miles and beyond. He currently holds a B.S. in Exercise Science, an M.S. in Exercise Physiology, and is a Certified Exercise Physiologist through the American College of Sports Medicine.